We’d love your help. 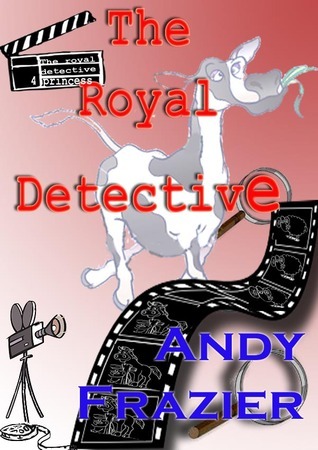 Let us know what’s wrong with this preview of The Royal Detective by Andy Frazier. To ask other readers questions about The Royal Detective, please sign up. 4th in the series about Princess the Cow. Princess is moving up in the world and has been chosen to appear in a whodunnit movie. During the making of the movie there is a real crime with some kidnapping of a young boy and bull-napping of Goliath, so Princess turns detective. She is ably assisted by her rather slow-of-brain but big-of-heart sergeant, Jackson the mad sheep. Great story which will appeal to 8-12 year olds, particularly if they are in to animals. Recommended to Andy by: Me, probably! As books go, this is definately Princess's best adventure. She enjoys it, I enjoyed writing it, and Emma Wilkes gave it 99%, which is pretty good. Shame about the dog though, but hopefully he will survive. BTW - I have never met Emma Wilkes. Maybe one day I will.